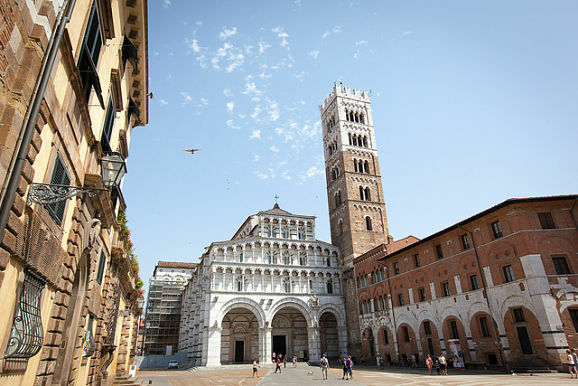 Lucca Italy, a city of ancient origins, is one of the most famous and visited in Tuscany, with many foreigners who have chosen it as their second home and where Puccini’s music is fluttering. 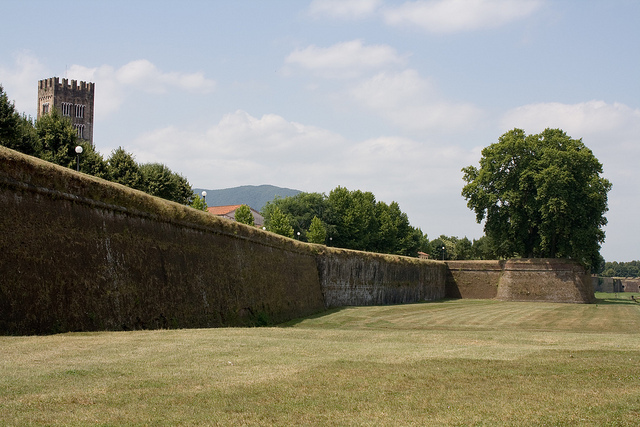 The city is enclosed within a perimeter of 4 km (2.5 miles) of sixteenth century walls that are a true symbol. It is a great work of military engineering, with its ramparts and bastions and today is a unique and scenic area of ​​public promenade. Inside the walls, the old city has well preserved the character of a “city state” of the past, with its narrow streets and plazas, onto which are overlooking towers and tower-houses of stone, small medieval brick houses with arcades and Renaissance buildings. Religious Architecture of particular interest is the Cathedral of St. Martin from the magnificent façade and the interior is rich in valuable works, the Cathedral Museum which houses paintings, sculptures and liturgical furnishings. The first traces of human settlement found in the territory of Lucca lead back to the Ligurians. Indeed, it seems that Lucca was founded on an island in the river Auser (as it was called in ancient times the Serchio): the hypothesis seems to be confirmed by the Ligurian-Celtic root "luk" indicates a marshy place. However, were the Etruscans, between the seventh and sixth centuries BC, to give the first decisive contribution to the expansion demographic, economic and civil territory. 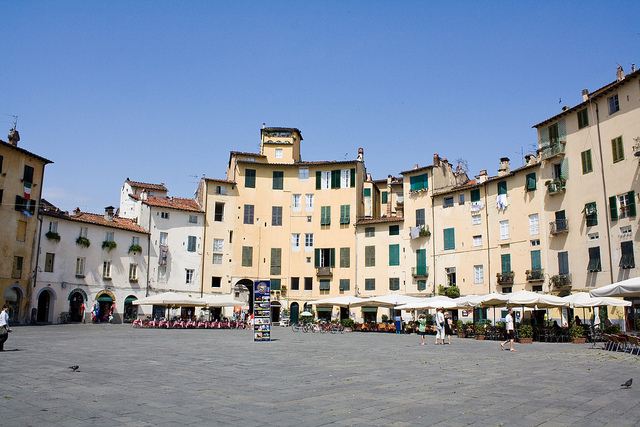 The oldest relative in Lucca appears in the stories of Livy and dates back to 218 BC when the city finds shelter the Roman consul Sempronius Longus after the defeat on Trebbia by Hannibal. At the end of the long military campaign against the Ligurian Apuani from Rome, Lucca in 180 BC became a Latin colony and, together with the city and the countryside of Pisa, incorporated into the province of Liguria. In 89 BC became the town hall and in 59 BC became the headquarters of the meeting of the first triumvirate of Pompey, Caesar and Crassus. During the life of the empire, the city developed into a major road junction (and perhaps even a military station) through the streets Cassia Aurelia and Clodia and reached its period of greatest prosperity, especially between the first and second centuries AD The important archaeological finds, such as the remains of the first walls, the amphitheater, the Baths of Massaciuccoli and Theatre, still attest to the Roman past of Lucca Italy.